EU Law Analysis: What next after the UK vote to leave the EU? Many of the consequences of the UK’s vote to leave the EU will not be clear for some time. However, here’s my initial take on some of the key issues, in their broader political context. 1 Is the referendum vote binding? Legally, no. But it is politically unthinkable that it will be ignored, in particular by MPs whose constituency voted to leave. 2 Could the UK simply renegotiate its EU membership again, and then hold a referendum on those results, rather than actually Leave the EU? This is technically possible, and some on the Leave side hinted at this as a possibility. However, a lot of Leave voters might resent this idea, as they probably thought that they were actually voting to leave the EU – although they would of course have the chance to confirm that position in the second referendum. This option would also require the remaining EU to be willing to offer such a re-renegotiation, and it might also be difficult to put into effect, since it would probably need a Treaty amendment (limiting the free movement of people, for instance) ratified by all Member States. 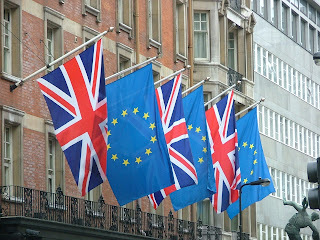 3 What is the process to leave the EU? The official process is set out in Article 50 of the Treaty of European Union. I’ve blogged about that in detail here, and there’s a shorter version of my analysis here. It would also be possible to leave the EU by amending the Treaties, although it is hard to see why that would be an attractive option to the UK, since it would require long ratification periods and unanimous voting on the EU side. Some on the Leave side have hinted that they think there is some alternative mystery process to leave, although they have not defined why they think this or what that would entail. The likelihood is therefore that Article 50 will be used. Any alternative approach would likely face a successful legal challenge. 4 What does Article 50 say? The UK notifies a withdrawal decision to the EU. That triggers a two-year period at the end of which the UK is no longer an EU member. That time can be shorter (if an EU/UK withdrawal treaty provides for this). It could also be longer if all Member States and the UK agree. It is up to the UK when exactly to notify the withdrawal decision. It could delay making the notification, although a very long delay could possibly increase economic uncertainty and fuel distrust by Leave voters. The negotiation concerns a withdrawal agreement. It is not clear if this is a technical agreement limited to the fiddly details of the UK leaving, or whether it would also govern the EU-UK future relationship. The point is relevant since otherwise the EU-UK relationship would have to be negotiated separately, and different rules would apply. 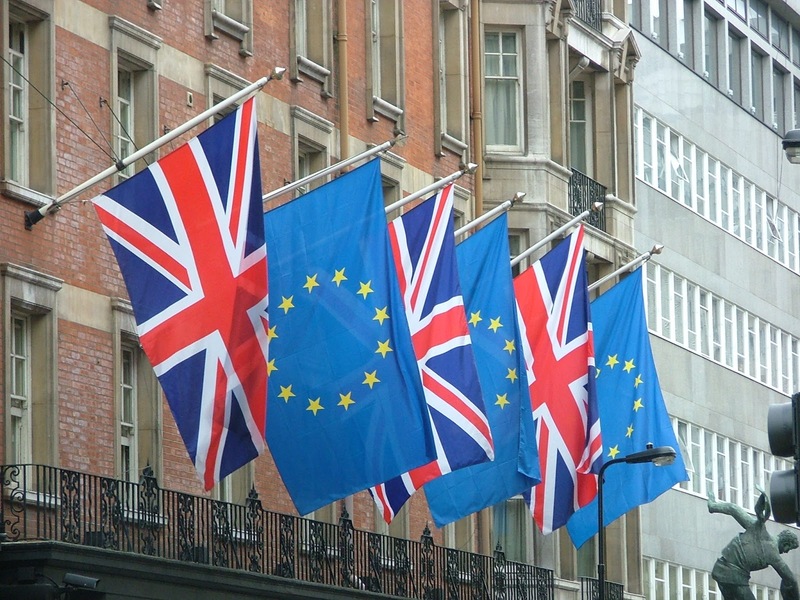 While the withdrawal agreement is subject to majority voting among the remaining EU Member States, it is more likely that a separate deal would be subject to unanimous voting and national ratification. It is also not clear if a notification to leave the EU can be withdrawn after it is made. That would be relevant if the plan were to negotiate the future UK/EU relationship, then ask the public in another referendum whether they wanted to leave on those terms or not. 5 Can the UK amend laws relating to EU membership already? Can the UK change its law to contradict EU law – repealing the European Communities Act, restricting the entry of EU citizens – while still an EU member? As a matter of domestic law, the answer is yes: the UK courts will accept and apply any Act of Parliament as the law of the land, regardless of whether it contradicts EU or other international law. However, this approach would indeed contradict EU and international law, as Professor Kenneth Armstrong has pointed out here. The question is whether that might prompt a retaliatory response from the rest of the EU as regards EU business, or complicate the withdrawal negotiations. 6 What will be the future relationship between the EU and the UK? What is the best model for a future UK/EU relationship? The Vote Leave side seemed to prefer a new treaty not based on the model of previous treaties with non-EU countries. This would of course require the consent of the EU, and would likely take longer to negotiate than using an existing model. Looking at existing models, the EU/Turkey arrangement is unsuitable since it is a customs union, meaning that the UK cannot negotiate its own trade deals with third countries. The EU/Swiss deal does not give full access to EU services, including financial markets, although this is a key UK export. Equally the EU’s various free trade agreements do not give such access either. The most attractive option is, for at least a temporary period, for the UK to continue with the ‘Norway option’, which means continuing to remain part of the European Economic Area (EEA), the association agreement between the EU, Norway, Iceland and Liechtenstein. There are a number of reasons to prefer this approach. It would provide legal security for exports of most goods and all services exports from the UK to the EU (and vice versa). A deal on this could be done quickly, thus reducing the damaging effects of uncertainty about the UK and EU economies, since the UK is already a part of the EEA, and so arguably does not need to go through any process to join it. (There could be a legal dispute on this point, though, since there is no express rule in the EEA treaty on what happens if the UK leaves the EEA: see the comments on this blog post). The EEA option is clearly the simplest way to leave the EU sooner, rather than later – which should appeal to opponents of the EU. EEA membership would leave the UK free to sign its own trade deals with other countries. The UK would not be bound by the EU’s fisheries or agriculture or VAT policy, so could change its law in those areas too. The EEA doesn’t cover foreign policy or criminal law or policing issues, although the UK could seek to negotiate a separate deal with the EU on those issues (on this aspect of Brexit, see my discussion here). The EEA does cover most EU laws on workers’ rights and the environment – so signing up to the EEA would guarantee the continued application of those laws in the UK. That's a big advantage for those who support such laws. This decision is unilateral, although an arbitrator can rule on the ‘scope and duration’ of the safeguard. Also, the EEA specifies remaining EU could retaliate against any such UK decision (limiting UK car exports or financial services exports), although again an arbitrator can rule on the scope of this retaliation. In short, the UK could invoke a safeguard clause to limit the free movement of persons under the EEA – but it would not be cost-free. Having said that the EEA option would probably only be politically viable in the UK if the government announced its immediate intention to trigger immediately the safeguard clause as regards free movement of people. Another limitation of the EEA is that the UK would no longer have a vote on EU laws as the EU adopted them. Those laws would in principle still have to be applied in the UK despite the absence of a vote. Two points on this though. First of all, the UK would not be subject to as many EU laws as is now – since agriculture, fisheries, tax and non-EU trade are not within the scope of the EEA. Secondly, for any EU law to apply to the non-EU members of the EEA it must be approved by those non-EU members. So the UK could veto the application of that new EU law to the UK at this stage – although again, the EEA provides for possible retaliation by the EU if it does so. A Financial Mechanism shall be established by the EFTA States to contribute, in the context of the EEA and in addition to the efforts already deployed by the Community in this regard, to the objectives laid down in Article 115. The details of the sums involved are set out in separate Protocols. The UK would have to negotiate one of these with the EU. Overall, then, there are pros and cons to the Norway option. In my view, the pros hugely outweigh the cons – considering that the EEA could be used as a purely interim measure while negotiating a longer-term arrangement, which could take the form of amendments to the EEA itself. 7 Do EU and UK migrants have 'acquired rights'? In human terms, the biggest issue for Brexit is what happens to EU citizens in the UK, and to UK citizens in the EU. That issue is discussed in the linked blog posts, but there’s also the question of whether the legal position of all such persons is protected by the principle of ‘acquired rights’, as referred to in the Vienna Convention on the Law of Treaties. The Leave side argued that it was, but others (for instance, Professor Sionadh Douglas-Scott) have argued that it was not. I won’t get into that abstract legal debate about the meaning of the Vienna Convention, because in my view it’s necessary to have complete legal certainty on this issue. I don’t believe we can simply leave it to an international legal principle, which may not always be enforceable in national courts, to protect such rights. There’s also a question of the scope of the rule: what about rights in the process of acquisition, like future permanent residence, or a teenager’s future status as regards equal treatment in tuition fees? 1. Any citizens of the UK residing in the EU as of [Brexit Day], and any EU citizens residing in the UK as of that date, shall retain any rights which they acquired pursuant to EU free movement law before that date. They shall also continue to acquire rights which were in the process of acquisition as of that date. 2. The parties shall give full effect to this principle in EU or national law, as the case may be. 3. The EU/UK Joint Committee may adopt further measures to implement this rule. It should be noted that his issue would be irrelevant if the UK retains its participation in the EEA, as discussed above. Some argue that people cannot be ‘deprived’ of their EU citizenship by a Member State leaving the EU. In my view, that’s untenable. The Treaties define citizens of the Union as being nationals of Member States. If a country ceases to be a Member State of the European Union, then obviously its nationals therefore cease to be citizens of the Union. 8 Will Scotland now leave the UK and join the EU? The question of whether Scotland might now leave the UK, and seek to retain membership of the EU, is a huge political question, which also raises domestic legal issues. I won’t comment on the national legal issues. On the EU law issues, see my earlier analysis of the possible legal complications for an independent Scotland seeking to join the EU – although some of this analysis is specifically based on the assumption that the UK, along with Scotland, would be an EU Member State. Furthermore, the political context is possibly now different than it was in 2014, at the time of the Scottish independence referendum. It may be that the remaining EU could have more political will to welcome Scotland as an EU member than it might have had in 2014, in the interests of stemming any perception that the EU is falling apart. Indeed, it might be more willing to waive the usual criteria of single currency membership and Schengen participation. The Spanish government in office in 2014, which was a principal obstacle to Scottish EU membership, might not be in office any more: we should know after this weekend. Possibly some Member States poured cold water on Scottish EU membership in 2014 out of loyalty to the UK – but now they have the opposite motivation. The political context of the issue would now be different: unlike in 2014, facilitating Scottish EU membership would not be now seen as creating a kind of incentive for a Member State to split up, given that the UK is leaving the EU anyway. Coming back to the EEA, it may be an attractive option for an independent Scotland – either as an interim step toward joining the EU or as a long-term arrangement. Scotland would not be covered by EU fisheries policy and would clearly not be obliged to join Schengen or the single currency. (Norway and Iceland are part of Schengen, but by means of a separate treaty from the EEA). This option may also be more palatable for those Member States worried about their own separatist movements, since it falls short of EU membership. 9 What happens to the remaining EU? The EU is obviously a key player in what happens next, and not only in the context of negotiations with the EU. Some on the Leave side have hoped for the break-up of the EU following Brexit – although it’s hard to see how turmoil in, or the collapse of, its biggest trading partner is in the UK’s interests. Certainly there are some politicians in EU countries calling for withdrawal referendums of their own – although none of them are in government, and it would remain to be seen what the vote would be if those referenda were held. We'll obviously have to wait and see what happens. The countervailing possibility is that the remaining EU countries make renewed efforts to win back public support by changes to some unpopular EU policies and practices. I’ll write more soon about what such changes might be. One point though: although the UK’s position on Brexit negotiations won’t be confirmed until after the Conservative party leadership election, and then possibly not until after a general election, the EU may well formulate its negotiation position in the meantime. I agree that the Norway option would be the best one but I would have huge reservations about the legitimacy of such an option from a democratic perspective - the campaign was run on immigration and sovereignty - both would be affected by Norway option even with the safeguard clauses. Possibly then a referendum on that would clear it - or a manifesto pledge if we go to the polls soon. On Scotland - an interesting question is whether if they were to have a referendum to leave UK very soon they could succeed to UK membership or have to renegotiate afresh - I think David Edward had something on this for the Scottish referendum and case would be stronger given the vote in Scotland. I don't think they could put a line through UK on paper and write Scotland over it, I would imagine a fresh start would be the case. But then that brings us to criteria, 'The EU Treaty defines an excessive budget deficit as one greater than 3 % of GDP.' Scotland has a GDP of around 9.7%, would the EU really want to take on a member that will get more than it puts in when it has just lost a major contributor? The budget deficit criteria applies when states join the eurozone, not the EU. A number of parties in the German and EU parliament have already said they would welcome Scottish membership. I think the political advantage of maintaining the numbers of Member States might outweigh the economic aspects. Scotland of course has a modestly sized economy so the volume of commitment is not huge. If the only way for the EEA option to be politically tenable is if the government indicated they were going to immediately invoke the safeguard clauses then that kills the EEA option as I can't see the EU or the EFTA-EEA states agreeing to the UK acceding to the EEA with such intentions. The EFTA-EEA states are also unlikely to welcome UK accession to the EFTA on such grounds as well. The way things are heading, the best the UK might get is something akin to the Canada option but with the rights of EU citizens in the UK and UK citizens already in the EU maintained via the withdrawal agreement. Scotland may secede to join the EU or EFTA/EEA. Spain is making noises about joint governance of Gibraltar. Northern Ireland is going to be quite a conundrum - what happens with the Common Travel Area? But the question is whether the EU needs to 'accede' to the EEA or could just maintain its current membership. And anyway UK participation in the EEA with a safeguard clause might be more palatable for the EU than the prospect of years of talks. Why would Polish workers etc be better off at the end of that process? Thank You for this insightful article. I remain sceptical as to the main premise of this piece - that the UK is already a member of the EEA. First of all, and looking at the content of the EEA, it is not entirely clear to me what the role of the Member States of the European Union (simply the MS's from now on) exactly was in terms of the bulk of the commitments of the EEA. I doubt very much that the MS's even have (had) competence to take on international commitments in the fields covered by PARTS II-IV of the EEA - the internal market and competition law provisions. Simply put, I do not think that the MS'm have (had) competence to contract a) between themselves or b) between them and third states on issues such as custom duties, quantitative restrictions, cartels or indeed the free movement of workers. True, the UK is a Contracting Party to the EEA, but equally so is the EU. I would certainly seek to argue instead that it was the EU that had competence in law to engage in the core areas of the EEA and I would even dare to say that this was so not in the place of the MS's, but as the sole actor in possession of any legal authority. And if the UK had no legal competence to commit itself to these areas of the EEA, it cannot retroactively - in my opinion - seek gain from them (even with the help of some sort of doctrine of assimilation of international commitments, perhaps). And what comes to matters internal to the EU, I fail to see at first sight how Brexit would imply any necessity for a fresh accession to the EEA on part of the EU. I would argue that the EU, having legal capacity of its own, undertook the original commitments of the EEA nevermind who are/were its Members. Secondly, there is the fact that the UK is no longer a Member of the EFTA. In practice, and after brexit is finalized, the UK will be outside any and all insitutional oversight build inside the EEA. This is so, as it happens, because it is the EFTA bodies take care of business on the one side, and the Commission on the other (Articles 108-10 EEA). I am quite sure that the UK will not be very content with the idea of putting herself under any outside influence, whether that would be political or legal in nature. And similar institutional problems would arise from the fact that the UK should not have access to the dispute settlement mechanism, which can be provoked only by the EU or an EFTA Member (Article 111 EEA); and seemingly the UK would have no representation on such EEA bodies as the EEA Council and the EEA Joint Committee (which are equally reserved solely for EFTA States). For all these reasons I am very much doubtful whether the UK is a true Member to the EEA as of now. One might consider, as a matter of course, that the UK is still bound by the general provisions of PART IV of the EEA - the flanking policies - where she still had some competence at the time when the EEA was negotiated, but I seriously contest the premise that the UK would very much like to insist on being bound by them. The UK is clearly a member of the EEA now as a signatory state. The question is whether that simply transfers to a different form of membership if the UK leaves the EU. If the parties agree there could simply be a protocol dealing with the technical details. Easy enough to join EFTA as of the date of UK withdrawal from the EU. A "different form of membership" might indeed be a suitable term to describe the future status of the UK. I wonder whether, in Your best understanding, the UK has established her EEA commitments, rights and obligations as a signatory simply towards the EFTA States or also towards the EU Member States? I mean, did the UK also contract with the EU Member States at the time of her ratification of the EEA? I have heard of multilevel governance before, but that would certainly add yet another confusion to the discussion. I believe that the ECJ has already established a firm negative position to counter these type of potentially messy situations, where Member States in effect interfere with the scope of (this time, primary) provisions of EU law via agreements belonging to the sphere of general international law. Politically speaking, and speculating for a while, I am not able to see why the EFTA States should be too eager to take in the UK with any haste, especially if brexit should turn out to be a dirty affair between the EU and the UK. Old members of EFTA would risk undermining their current position by taking in dead weight that nobody on the other side of the table would like to do business with (I am mainly talking about the informal negotiations that take place between the EU institutions and the EFTA institutions). And naturally, including the UK would also have an effect on the internal dynamics within the EFTA. Presumably the UK would try to dominate the EFTA (maybe not entirely without justification) and this might turn out to be difficult to accept for the old EFTA States who by and large have a long standing practice to conduct business in an atmosphere of relatively calm and tranquility. So, again, I fail to see that the procedure (put together with real politics) behind the UK joining the EEA would be a simple matter of the UK foreign office sending a memo to the EEA/EFTA. The CJEU has always said that Member States have obligations to perform the EU's treaties with third States also as regards the EU. Probably it would say the UK was not contracting with Member States at that time, but this does not necessarily rule out a transfer of the UK's position if it leaves the EU. The previous CJEU case law isn't really relevant to this novel legal situation. The issue of EFTA states 'taking the UK in' begs the question of whether it can transfer automatically. From an legal and economic point of view their obligations re the UK will not change. The addition of the UK might rather increase the collective weight of EFTA states, especially if the UK has the diplomatic tact to try not to dominate them. If the UK does not remain in its current form for too long this is less likely anyway. I believe that we are close to approaching a full circle. For me, the only solid ground to stand on is the matter of competence: did the UK have competence to accede into the EEA in relation to the bulk of the norms that make for the substantive law of the EEA legal system? I personally answer that question in the negative, since those norms were and are of EU origin. The matter might be slightly different, if the EU would have used the EEA as a platform to create also internally new law (i.e. would have used external powers, maybe together with its Member States, to create obligations also between the Member States of the EU). That clearly did not happen, as the substantive EEA law merely replicates EU law - to the finest detail, one might add. And, finally, as a Member State of the EU the UK did not have competence to contract on matters falling into the realm of EU law (that is the old case law I referred to previously, which would in principle apply also to this novel legal situation). After Brexit, one should hence ask whether the UK can enjoy "automatically" of the benefits which underlie a legal system that it has not been able to contract into. I believe that the UK cannot draw positive nor negative consequences from contractual provisions that it did not and could not create. The bulk of the substantive EEA law is simply a matter between the EU and the EFTA States. The UK would in this undestanding be something akin to a third party. This point of departure is also reflected in the homogeneity, surveillance and dispute settlement mechanisms of the EEA, which do not address non-EU or non-EFTA States. Alternatively, for me, it makes no sence to speak of automatical transfer of membership - just as little as it would be to speak of automatical creation of membership. First of all, it would render nugatory Articles 56-7 EFTA, which dictate the accession to and withdrawal from the EFTA. The UK, as we very well can see, has knowlingly and willingly used those very Articles in the past. I have no grounds for believing that the last act of the UK (withdrawal from EFTA) was made erronously. Secondly, we do not even know whether the UK wishes to be a party to the EFTA. Would we still support this automatical membership theory if we knew that the UK wished to have no ties with EFTA? I can find no legal argument in support of this line of thought. I am sure that the negotiations on EFTA membership would not take much diplomacy in terms of discussing the substantive EFTA law, since the UK legal system would be perfectly in order to adapt for a quick membership. The same goes to economics behind the law. However, negotiations would still be necessary, since - simply by way of example - the UK has no position in any of the institutions of the EFTA. Or does one seriously claim that a UK judge should just appear one beautiful day at 1 r. du Fort Thuengen, open the door to someone's office and simply start to hand down judgements on her own right? At the time when the EEA was agreed, the EEC/EC only had exclusive competence relating to trade in goods, and limited aspects of trade in services, according to Opinion 1/94. So I don't think the argument is persuasive on its own terms. Anyway, I don't necessarily accept that what the UK was able to contract to in 1992 should necessarily determine its status if and when it leaves the EU. Talking of 'transferring' membership begs the question. So does discussion of EFTA membership. I agree that Article 111 refers to the EC or an EFTA State only, but then Article 112 refers more generally to 'Contracting Parties'. Finally there is the general point that Article 127 provides for an exit mechanism - and arguably is lex specialis on this issue. Acquired rights has never to my knowledge been a principle of English law. It will be politically unacceptable to agree any arrangement, be it EEA or EFTA, which includes free movement of persons. The EU citizens resident in Britain on the day of secession will be subject to immigration controls just as with any other non-EU national. I see no basis or justification on which they can receive special treatment. A number of people on the Leave insisted there would be 'acquired rights' all along. The justification is that this promise was made, and these people they acted legally when they came. The basis would be the withdrawal treaty (as well as general international law) as set out above. That would equally protect UK citizens in the EU. Or are you keen on mass deportations? Thanks for the very informative post. Just one small point of presumably little actual relevance: it is possible for members of a customs union to enter into independent FTAs with third countries, even if it is not ideal from a free circulation perspective. Both the EU and Turkey have done this since 1995. That's possible (Jeremy Hunt argued the same thing today). But the EU for the time being seems totally against informal discussions in the way suggested. If they did in fact take place, of course the results would not be binding as such. You are assuming that Scotland would be treated the same way as any other new Member State, rather than retain the same position as the UK. The UK merely has to 'endeavour' to meet the deficit target, and of course the convergence criteria are irrelevant as it does not have to join the single currency. More broadly the political signs are that at least some in the EU are very keen to keep Scotland as a member on favourable terms - see the Liberal and Christian Democrat parties in the EP and some statements in the German parliament, for instance. Steven, I find this idea most intriguing. So do you think all that needs to be done is amend Art 2 of the EEA Agreement to list the UK (or what is left of it) as an 'EFTA Party'? Actually Art 2 EEA does not define 'Contracting Parties' in general; that definition really only explains the division of competence between the EC and its Member States. The UK is still a signatory to the EEA in its own right. I mean Art 2(b) not (c). I would point to the definition of 'Contracting Parties' at the outset of the agreement, which does not make an explicit distinction between EU Member States and EFTA States. OK. But other than goods the rules only apply to EFTA States. No? Well, e.g., Art 28(1): 'Freedom of movement for workers shall be secured among EC Member States and EFTA States.' Art 36(1): 'Within the framework of the provisions of this Agreement, there shall be no restrictions on freedom to provide services within the territory of the Contracting Parties in respect of nationals of EC Member States and EFTA States who are established in an EC Member State or an EFTA State other than that of the person for whom the services are intended.' etc etc. The UK is not an EFTA state under Art 2(b). So from a strictly literal perspective there would be parts of the treaty that still apply to the UK as one of the 'Contracting Parties' and parts that do not. Without the services clause the value of the EEA to the UK is reduced. But would the secondary legislation cease to apply to the UK on this analysis? I would imagine any secondary legislation would indeed cease to apply. If the treaty doesn't apply to UK territory, it should be the same for any rules made under that treaty. It is not just services, incidentally. On my reading, it is everything by goods. If one then adds my point about territorial application (above/below), then goods imports into the UK are also excluded, which leaves, at most, goods exports from the UK to other EEA members. But such an asymmetrical treaty makes no sense. It would, I think, be likely to be subject to the exceptio inadimplenti, or rebus sic stantibus. In short, I suspect that without amending the territoriality clause and the EFTA parties clause, the EEA option will not fly. Sure, I'm not denying that. Art 2(c) would just not be relevant to the UK. But would you agree that Art 2(b) would need to be changed for most of the agreement (other than for trade in goods) to apply to the UK? See my reply to your reply dated 28 June. Since the referendum question did not so much as mention the EEA, it is highly questionable whether there is any mandate for the UK to leave the EEA. The UK is an independent signatory of the EEA Agreement. Moreover, many Leave campaigners, including Boris Johnson and Nigel Farage, have repeatedly said that the UK must retain access to the European market. Farage said this only yesterday. This strongly implies continued membership of the EEA. In my view, it would be possible to mount a legal challenge against any attempt to withdraw the UK from the EEA Agreement, as the referendum did not provide for that. In any case, I doubt whether Parliament would approve any attempt to withdraw from the EEA. It must be noted that the referendum has no legal force. It is purely advisory. Parliament could ignore it completely. It certainly could refuse to authorize any attempt to remove the UK from the EEA. In any case, in view of the increasing backlash against the Leave vote, with many voters now realizing that they were deceived by false statements from the Leave campaigners, there is beginning to be doubt whether Parliament will ever authorize activation of Article 50 withdrawal. It certainly does not help the Leave case that the Leave campaigners have no plan whatsoever for how to handle leaving the EU. The legal point is interesting. I note that the UK's EEA membership is referred to in Art 1(2) of the European Communities Act. So as a matter of domestic law, that ought to mean that the EEA applies unless Parliament amends that part of the Act (or repeals the whole Act). However, there is the international law argument as to whether we could remain an EEA member without a new application to join. To my mind it would be very plausible for the government to deliver on the referendum outcome and leave the EU, retain membership of the EEA and negotiate an additional "British Grant" (akin to the Norway Grant) on a proportionate basis of GDP to the Structural Fund, but with a freedom of labour (not people) provision, so only those with employment offers could move. Anything is possible, but the EU position is opposed to the UK having single market access without also accepting free movement of people. What you suggest seems to involve an amendment to the EEA, rather than just use of the safeguard clause, so it's unlikely. One question also looms ahead. Theresa May says she intends to pull out of the ECHR. I am told this is not possible. Is this true? There would be legal obstacles related to the Good Friday agreement and possibly Scottish devolution. However, she has now said that she has given up on this objective. It raises questions about how far it can be legally used to meet voters general concerns about the overall level of migration. The die was cast when Cameron promised to cut it to under 100 thousand. This was indiscriminate and not linked to particular regions where migration pressures were acute. The underlying message was that public services, housing and wages were adversely affected but this was not linked to particular areas of the country. It would have to be argued that a problem in one region could only be tackled by reducing all migration, regardless of where each migrant wished to go. This would be a consequence of not having internal pass laws to direct migrants away from areas under strain. The whole issue would prompt further legal and public debate on the exact evil raised by migration and require deeper specification. It would also highlight that shortages are as much about government failure as migrant excess. Thanks for your comment, Daniel. Yes, it would raise questions that the arbitrators might look at (unless the UK has convinced the EU not to complain about use of the safeguard due to concessions on other points, like agricultural trade covered by a separate agreement). Various uses of the safeguard clause could be made but I think the argument might be that there is 'societal' pressure on public services generally and so some form of curtailing of (say) workers earning less than £20K could be applied. Employers would need approval to hire them except in shortage occupations perhaps. The UK could also exempt certain regions from the general rules or (in the case of devolved assemblies) leave the decision up to the Scots, etc whether they wanted to apply the restriction as well. As a Member of the EFTA, the UK would need to fight an uphill battle also against the EFTA Court. As far as I've read it's case law, there is certainly no shying away from the basic premises of the case law from the CJEU on basic freedoms. This would most likely mean concrete (vs. simple abstract) analysis of the economic and societal pressures behind the future measures (proper analysis of the historic and projected figures & analysis of least restrictive measures) by the EFTA court. It is difficult to see how totally unrestricted scope of the safeguard measures could be sustained as Article 3 EEA sets a broad lojality principle and Article 4 EEA a broad principle of non-discrimination. And even if we think that only the arbitrators would need to figure these questions out, the outcome could not in any case be something too far removed from whatever the "bigger" Party to the EEA seeks. This begs the question about whether the EFTA Court has jurisdiction over safeguard measures or the arbitrators' decisions. Anyway a preliminary ruling by the EFTA Court is purely advisory. Otherwise only an EFTA State or the EFTA Surveillance Authority could sue the UK in the EFTA Court (even if it has jurisdiction). The EU institutions and Member States cannot. Considering that the safeguard decision is 'unilateral' and the remedies for pulling it are essentially political and economic (ie the retaliation clause) I wonder if the EFTA Court would really be willing to examine use of the clause in critical detail. I wouldn't suggest use of the safeguard clause is 'totally unrestricted' - that's where the arbitrators and retaliation come in. It would certainly be unrealistic for the UK to seek to suspend all free movement of people, but it could try a narrower measure such as (say) a labour market test for all employment contracts under £20K for a couple of years. I disagree strongly that the UK is a signatory in its own right with regards to the EEA. 1. the Community AND the EC Member States where the competences are shared and both the Community AND EC member states are required to exercise their competences in furtherance of the provisions of the Agreement. This would apply for example to the internal market, the environment, research and development and social policy (well some aspects of social policy which aren't an exclusive competence of the EU). 2. the Community OR the EC Member States where the competences are not shared and either the Community OR the EC member states are required to exercise their competences in furtherance of the provisions of the Agreement. In the case of the Community this would apply for example to competition rules and cooperation in customs matters and the application (or removal) of customs duties. In the case of the EC member states this would apply to education. The Agreement clearly states that the Contracting Parties shall mean the EFTA States, the Community and the EC member states. If the UK is no longer an EC member state then the definition can no longer apply to it. I agree with Steve on this. But there is another point (not sure that this has been raised here) yet. Art 126(1) states that 'The Agreement shall apply to the territories to which the Treaty establishing the European Economic Community (20) is applied and under the conditions laid down in that Treaty (21), and to the territories of Iceland (22), the Principality of Liechtenstein and the Kingdom of Norway (23).' This would then seem to leave any references to the UK redundant in practice, at least as far as imports or regulatory activity is concerned. Interesting question whether the UK might still have rights vis-a-vis others though. In the opinion of EFTA at least you have to be a member of the EU or EFTA to be in the EEA. Once Parliament enacts a bill to repeal the European Communities Act and invokes Article 50, is there a legal challenge via judicial review citing non conformity with Article 2; namely democracy and pluralism based upon the dishonesty used to distort the referendum, and thus the implied mandate? It's not clear if Parliament will be involved, there will be a legal action on that point, it seems. On your suggestion, in my view (and the Court of Appeal agrees) it's entirely up to national law to determine whether to withdraw from the EU in the first place, EU law does not play a role in that according to Article 50(1) TEU. Which ever mechanism is used, a judicial review process starts with the decision to invoke Article 50. Whilst EU law does not dictate, the mechanism for obtaining a judicial review against parliamentary legislation is to rely on one of the exceptions to the Enrolled Rule Bill, which would be 'incompatibility with EU law'. My question then becomes; would Article 2 serve as claim that the referendum (implied mandate) process was undemocratic (through dishonesty) and lacks the good faith and compromising nature of pluralism? Article 2 seems more of a rhetorical statement than an obligation*. If so, is there another provision in EU law that would satisfy the Enrolled Bill Rule exception? *Though article 3 seems to firm it up as an extended obligation to non EU members. I don't know about the 'Enrolled Rule Bill'. I would simply repeat that I find it unlikely that the UK courts will rule that EU law applies in any way to Article 50(1). I'm in agreement with the Mishcon de Reya reasoning, that it is the constitutional requirement to debate it in parliament. Furthermore, invoking Article 50 without repealing and reenacting the EC Act would seem unethical since it would remain in force and in doing so allows decisions to be made under existing bona fide rights that could be instantly ended. This must create a liability for the government. Not least, a reenactment would provide a line in the sand for acquired rights under freedom of movement. Surely this depends on whether invoking Article 50 is irrevocable? If it can be revoked, then invoking Article 50 is simply the first step to start formal negotiations for a possible withdrawal, so difficult to see why parliamentary consent is required. So would you agree that the best negotiating position would be for the Prime Minister (or perhaps a junior minister) to invoke Article 50 without any higher approval. This would force the EU to the negotiating table, but leave it open for the UK to have a second in / out referendum or parliamentary debate based on the outcome of the negotiations. If post negotiation the UK decided it was better to remain then either the EU would agree that Article 50 notifications can be revoked, or we would ask an international court to rule on the matter. If the international court ruled that an Article 50 notification is irrevocable, then a UK court could rule that the notification was invalid and it would be as if it had never happened. If the terms of the negotiation were satisfactory then the executive could seek parliamentary approval before we formally withdraw, making the issues of irrevocability and executive authority moot. Your argument about strategy depends on the assumption that an Article 50 notification is revocable. It's not for 'an international court' to determine this, it's for the EU Court of Justice. I think it would be best to clarify a number of issues in that Court in advance of any notification. This includes the question of whether the UK is legally entitled to remain a member of the EEA without EU approval and of whether the date of withdrawal could be postponed indefinitely. I can't see any basis for the argument that *if* the UK can withdraw a notification, it would need the EU's approval to do so (unless you are referring to an indefinite suspension of the withdrawal date) - but it would be best to ask the CJEU to clarify that issue too. I also can't see on what basis a UK court could claim that a notification was 'invalid' once made, and it would be foolish to proceed on the basis that this could or would happen. The issue of irrevocability would *not* be moot if it turned out that indeed a notification was irrevocable. Am I right in thinking that for an EU-UK FTA there are three possibilities: a simple agreement with QMV; a simple agreement with unanimity in the Council, (if it covers trade in services, commercial aspects of IP, or FDI: TFEU 207(4)) ; and member state unanimity with national ratification, if it extends beyond the EU's exclusive competence. What would have to be left out for the agreement to be kept simple? So far I have found: transport services (Review of Balance of Competences: Trade and Investment, 2.5), and then from an opinion by Franz Mayer on CETA: protection of portfolio investment; mutual recognition of professional qualifications (particularly the inclusion of third party nationals); health and safety at work; GMP for pharmaceuticals; and criminal provisions regarding IP, SPS, entry and temporary entry, transparency rules and regulatory cooperation. But some of these may be disputed. There's also unanimous voting re 'cultural and audiovisual services' and 'social, education and health services', both in both cases subject to conditions. Member State involvement via a mixed agreement isn't mandatory if a treaty includes non-exclusive EU competences - but it is very much the practice, especially re trade agreements. Yet they are often put in force provisionally pending national ratification. The exact scope of QMV re trade in services/CCP isn't clear. We will know a lot more when we have a CJEU judgment on the EU/Singapore deal in Opinion 2/15, which I expect will shape these negotiations. Of the list you mention: transport services is an express exclusion from the CCP (quite widely interpreted in Opinion 1/08); I don't know what GMP and SPS are; there's no good argument in my view that recognition of qualifications, transparency rules and (especially) regulatory cooperation fall outside the scope of CCP for services; the entry and stay point is marginal (but EU has competences over immigration law); health and safety is a social policy competence; and the case law already says that brief references to criminal law and IP are within CCP competence. Thanks very much. When you say Member State involvement isn't mandatory, even if non-exclusive competences are included, do you mean that the Member States can forego their right to be signatories if they so choose? If so, would the objection of a single Member State be enough to prevent this? Thanks for the reference to Opinion 2/15, the Commission's questions are pleasingly clear. By SPS I mean sanitary and phytosanitary measures, and GMP is good manufacturing practice, which features in some MRAs, eg the EU-Israel ACCA. That is what I mean - it happens with readmission treaties for instance. I think whether it happens depends on the relevant voting rule in the Council. That's what I thought SPS meant! But I don't know why you asked about them - the CJEU has already said that SPS are within the scope of the CCP even as it stood years ago, in Opinion 1/94 (para 31). GMP sounds like just another form of regulatory cooperation or mutual recognition - surely at the core of the CCP competence regarding services. It's possible (although it would arguably breach the Good Friday Agreement) but it's not UK government policy.